Surfside on Lake Superior is our newest luxurious waterfront resort, offering a collection of coastal contemporary townhomes designed to captivate the senses and redefine relaxation. 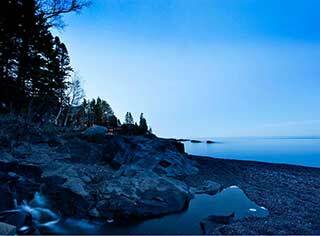 Located on 780′ of dramatic Lake Superior shoreline, each townhome boasts clean and simple lines that emphasize the breathtaking views. Dramatic angles, vaulted pine ceilings, floor-to-ceiling windows, vast expanses of glass, in-suite fireplaces, double whirlpool tubs, glass and tile showers, and more balconies and patios than any other resort on Minnesota’s North Shore – are all right here waiting for you. 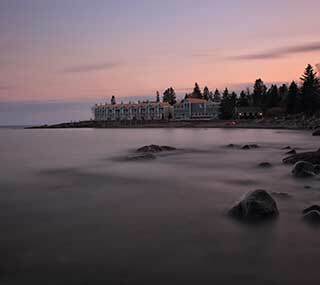 Whether on a romantic getaway, a relaxing retreat, or a family adventure, Surfside on Lake Superior provides the ultimate North Shore vacation experience. This luxurious waterfront townhome is perfect for entertaining family, friends and loved ones. It includes two master bedroom suites, two custom slate fireplaces, and at least four decks or patios (some have five and six!) with spectacular Lake Superior views. In addition to breathtaking Lake Superior views from the open kitchen, dining area and two-and-a-half story living room, the two bedroom townhome offers three private decks. Pick one from which to sip your morning coffee, or have a cup on all three – in your PJ’s! Fondly referred to as our honeymoon suite, this lakeside suite is serene, romantic and beautiful with colors that tie into the water, sky and earth. Includes an in-suite fireplace, King size bed, lakeside double whirlpool tub, and a walk out patio overlooking the lake. At Surfside on Lake Superior we appreciate all our guests – including the four legged ones. If your North Shore vacation just isn’t complete without the family pet, you’ll be happy to know that your four-pawed pals are welcome in a variety of room styles.